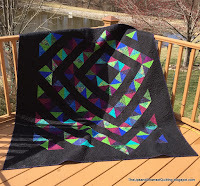 Here are links to 5" square friendly projects. These posts are not meant to be a complete quilt. These posts are to give you ideas for units that you can combine with other fabric that you have in your stash to create great quilts that are uniquely yours. 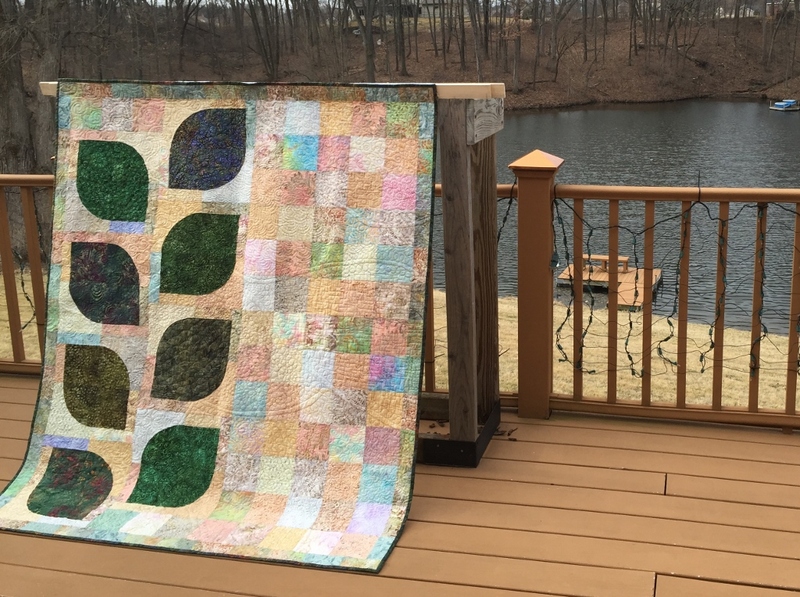 We all have beautiful quilts stuck in our stash waiting to make a beautiful quilt. I am a firm believer in use what you have....get those fabrics out of the stash....but buy what you truly need. 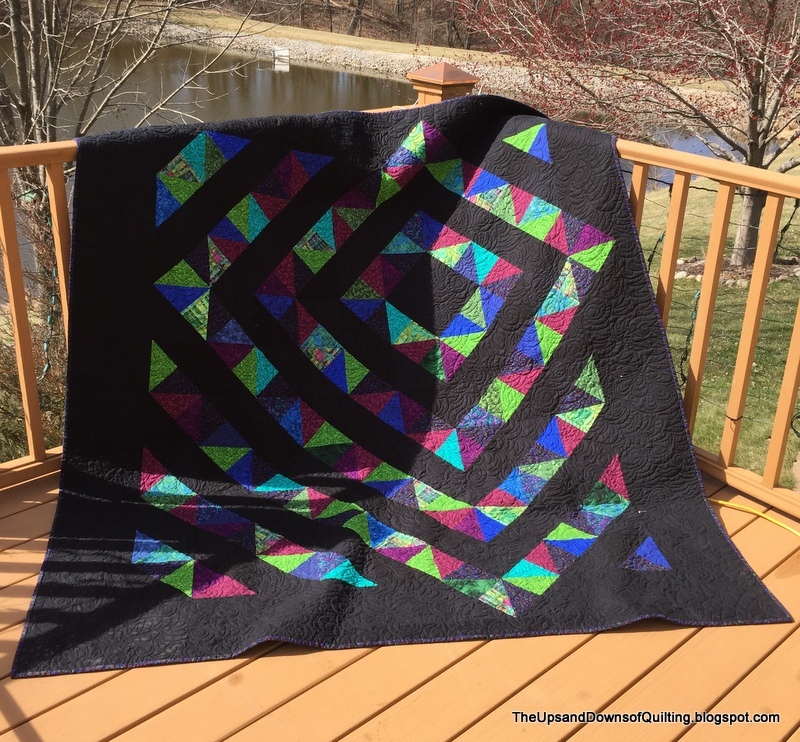 Sometimes that quilt needs a different shade than what is in your stash. This is especially common on scrap quilts needing the outer borders. I also believe that things should look hard and not be hard. Most of these techniques are quick and time friendly. Hope you find a unit that tickles your fancy. 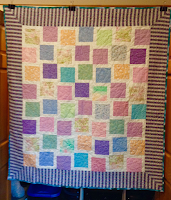 This quilt is from our 5" pastel charm exchange. 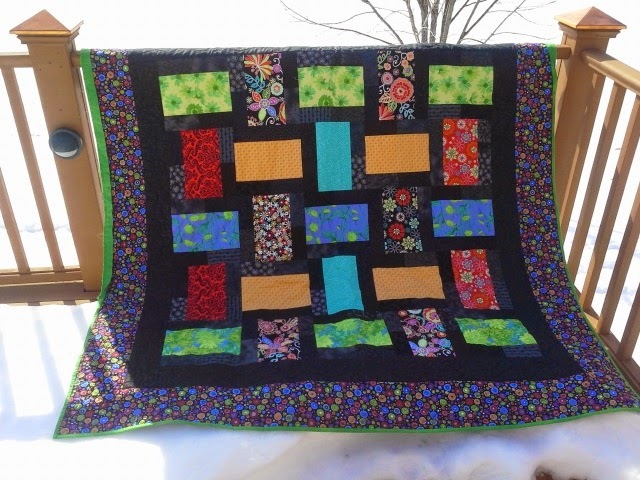 It includes 2 packs from our guild exchange to make 48-5" squares. 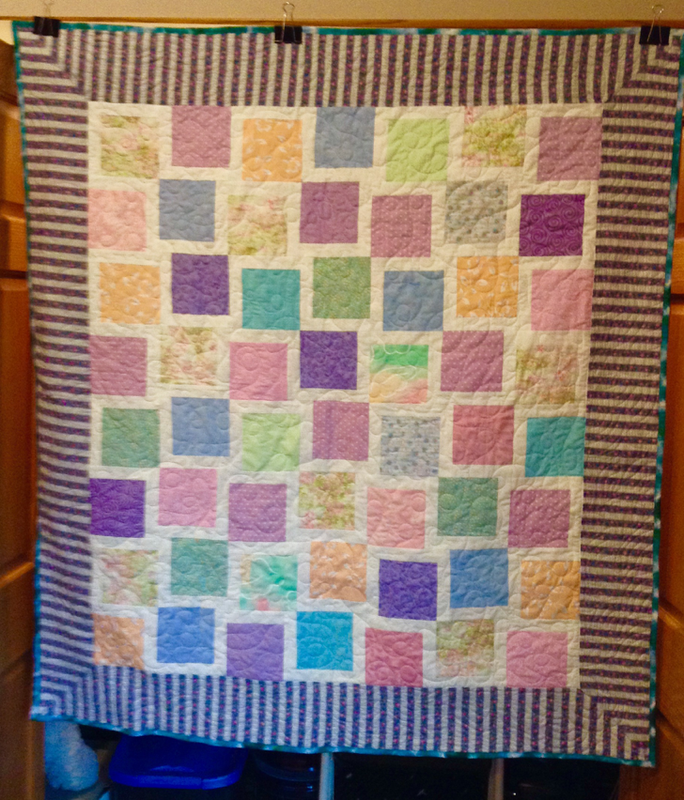 The quilt has 1 1/2" strips on 2 sides that make the squares dance across the quilt. The quilt hangs in the sew room. For each leaf are 2 Drunkards Path blocks. The background is all 5" pastel/light batiks from a guild swap. 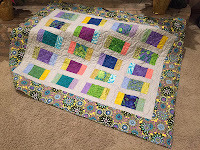 This quilt is based on Snap Pop N Change from Moda Bake Shop. After running out of the fabrics, a design change was in order-applique in the middle to fill in the last block. 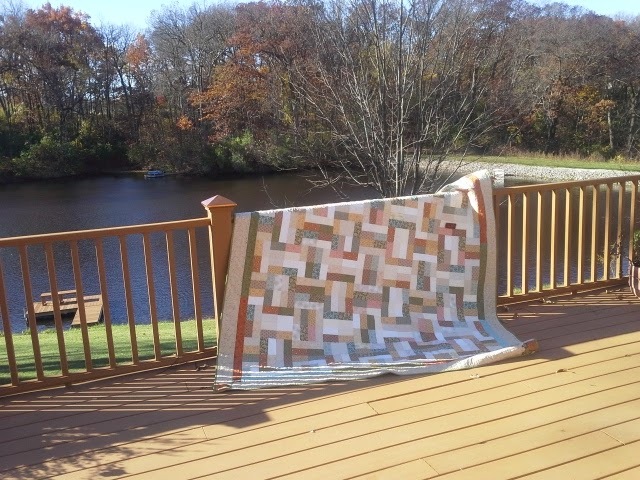 A Ricky Timms Accuquilt dye provided a great center block. From the Charm Box from Fat Quarter Shop pattern. This is altered to make it slightly larger. 5" squares are combined into a great pattern. 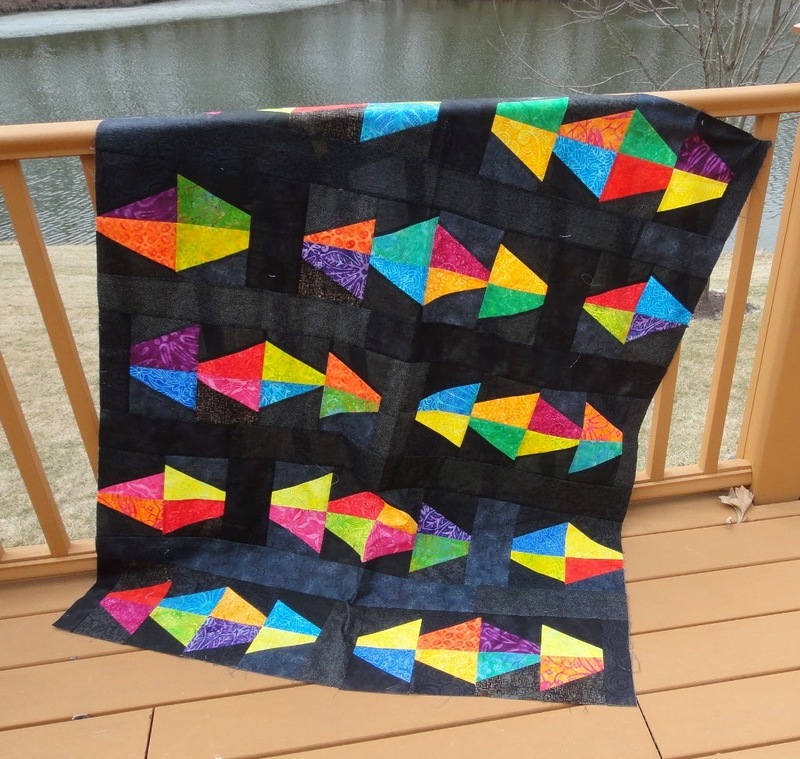 Adapted by Tamarack Shack from a Missouri Star Quilt Co. pattern, this make a great option for the charms in your stash.